Toyota Society Motors Organized 1 day Marketing Activity at Dolmen Mall Tariq Road on 16th December 2017 and Displayed All NEW Altis Grande CVTi 2018. Toyota Society Motors along with Indus Hospital Organized Blood Donation Drive as a Part of Corporate Social Responsibility On 30thDecember 2017. Purpose of this Activity was to create awareness among Society about Blood Donation and Collecting Blood for Needy Individuals. We invited our stakeholders/ Customers to be a part of this Blood Donation Drive in order to help saving the life of Individuals and collect as much as possible Blood. TSOCM participated in 22nd CNS Open Golf Championship at Karachi Golf Club. It was a 5 Days Event From 13th to 18th August 2017.Fortuner was displayed & TSCD representative attended the customers. Hole in one souvenir key was presented to Mr. Vivek Anand by Mr. Salim Godil CEO Toyota Central Motors and the Chief of Navel Staff . TSOCM participated in Independence Day Cup Open Golf Championship at DHA Golf Club. It was a 3 Days Event From 10th to 13th August 2017.Corolla XLI 2017 Facelift was displayed & TSCD representative attended the customers. Customer Relationships Department of Toyota Society Motors won the best customer relationship award 2017 all over the (South Region) the first ever award by any department. Every year Toyota Motors Corporation organises an Art Contest for kids with the name of "Toyota Dream Car Art Contest" to explore the creativity and imagination of kids. 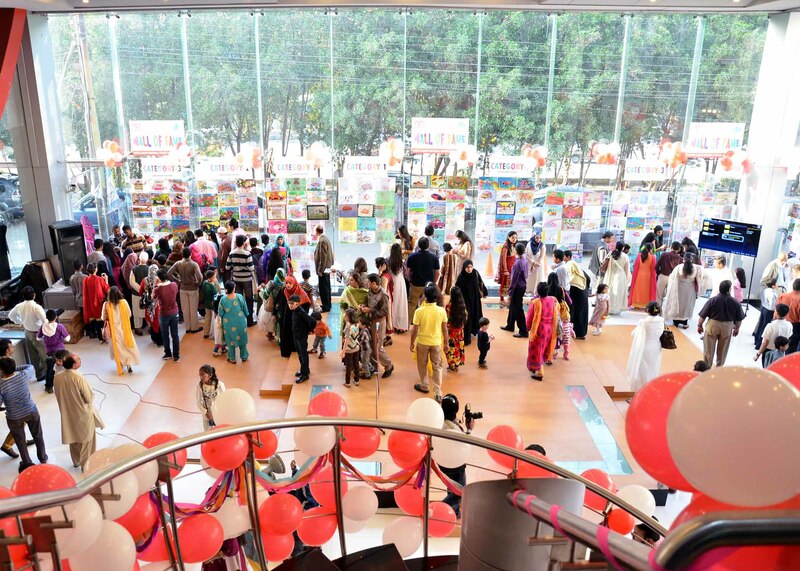 This year Toyota's 9th Dream Car Art Contest was held at our dealership with great zeal and the deserving kids were highly appreciated and rewarded with fabulous prizes. Bank Al Baraka All Pakistan Open Golf Championship was held from 6-9 February 2014 at Defence Authority Country and Golf Club Karachi. This event is a unique yearly National Open Golfing Championship in which amateurs having 12 & below, professionals registered with Pakistan Golf Federation of category A and B and senior professionals age 50 years & above participated. Toyota Central Motors participated in this event with the support of Indus Motors Company and displayed stalls of Toyota Fortuner armored and non-armored and Toyota Corolla Gli. We awarded the prize of Toyota Corolla Gli Automatic 1.6 CC: Price Rs. 1917,500/- to Hole in One Hit achiever. One Day Marketing Activity in collaboration with Bank Alfalah Limited was held on 9th July 2013 at DHA Phase-1 Branch of Bank Alfalah Limited. Our representatives along with Bank's team took part in this activity to promote financing of Fortuner and to aware customers about the financial products and Toyota vehicles. 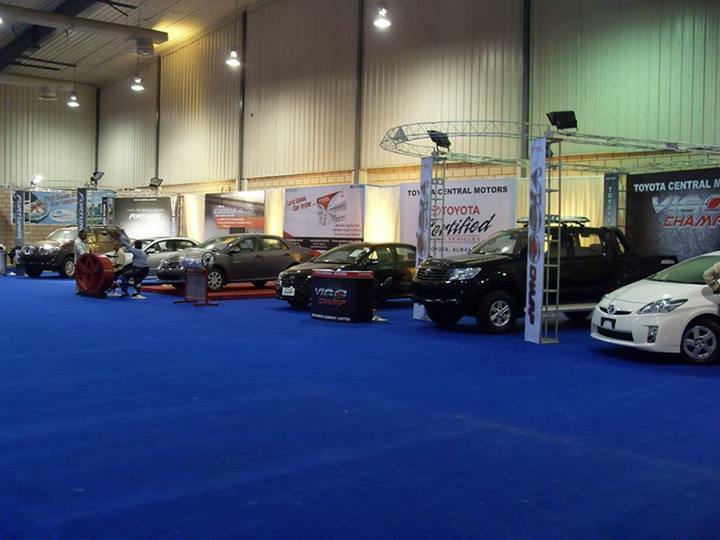 TCM has participated in this event with the support of Indus Motors Company .TCM stall was designed in the customer's point of view where they can easily look access and avail the walk around steps by the TCM Representatives. Launch of Toyota Certified Used Vehicle (TCUV) unit on 19th June 2013, where used car buyers and sellers get a platform to get an experience at par with new car buyers and sellers. Toyota Certified Used Vehicle (TCUV) is established to promote Sales, Purchase & Exchange of Toyota and Non-Toyota cars. It provides potential customers an opportunity to get their old cars of any make exchanged for a brand new Toyota or a competitively priced used Toyota car. Complimentary KFC meal voucher valued of Rs. 300/= to all appointed customers on regular Periodic Maintenance. Chevron actively participates in the sports activity and also endeavorsto promote Golf in Pakistan. For this they organize the Chevron Golf Championship every year for both Armatures & Professional Golfers and invite all corporate clients in the event. To cater the great attraction for Armature & Pro Golfers specially in corporate sector. Special Sponsorship by Offering Top of the line New Model Toyota Vigo Champ 4x4 AT for the Hole in One hit. Dealer of Toyota, under the name of World Auto Centre, Since the establishment of IMC, Karachi, in 2000 we built a new showroom, under the name of TOYOTA SOCIETY MOTORS! TOYOTA SOCIETY MOTORS. | Copyright 2019 | CIBS | INDUS MOTOR COMPANY LTD.